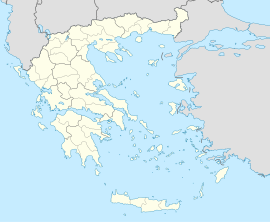 Eleftheroupoli (Greek: Ελευθερούπολη, katharevousa: Ελευθερούπολις - Eleftheroupolis, till 1929 Πράβη - Pravi,) is a toun an a umwhile municipality in the Kavala regional unit, East Macedonie an Thrace, Greece. Syne the 2011 local govrenment reform it is part of the municipality Pangaio, of which it is the seat and a municipal unit. At the 2001 census, the municipal unit's population wis 11,401, the toun's population wis 4,898. This page wis last eeditit on 5 Mairch 2018, at 00:55.